When we began our relationship with the Philadelphia Eagles, the team was coming off a 4-12 record—their worst in more than a decade. In addition to looking for more wins, the franchise was also looking to reconnect with the most passionate fan base in all sports. Through the years the stories and the characters have changed from season to season but the one thing that’s always held true is the idea at the heart of it all—that Philadelphia fuels the Eagles, and the Eagles fuel Philadelphia. This year’s campaign centered around the story of a team coming into its own with a second-year head coach and quarterback. 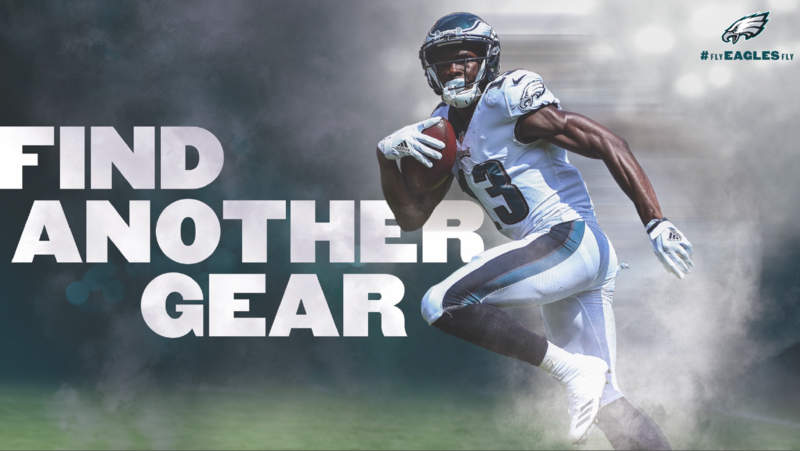 Drawing inspiration from within the locker room, we channeled the preseason challenge Coach Pederson issued to the team—asking whether they were just “Interested” or “Committed?” To kick things off we developed a two-minute anthem spot featuring Philly’s own Rob McElhenney (Always Sunny In Philadelphia), that wound up being our most viewed season opener to date. We directed a photoshoot with the team and created a 360 out of home campaign that took the city by storm. 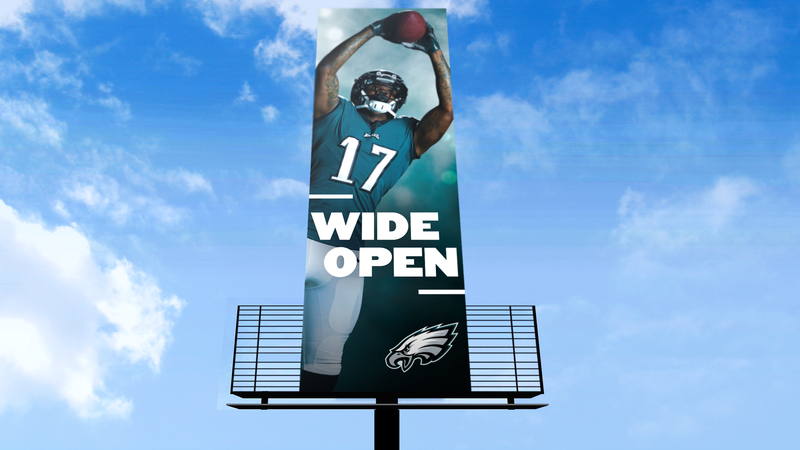 With key placements on bus and transit lines, as well as one notable one-two punch combination billboard buy along Interstate 95 highlighting key free agent signee, Alshon Jeffrey. To complement our long-form video that got things rolling we built momentum and excitement with a series of custom one off “Fly Eagles Fly” renditions played by fans across the Delaware Valley. Along with fun social content like the fight song renditions, we also began teasing weekly match-ups with videos timed to drop Friday afternoons leading in to each game from week six on. As the season rolled on, we kept rolling out content and the Eagles kept piling up wins. We planned content around key milestones in franchise history such as the 50th anniversary of Eagles fans infamously throwing snowballs at Santa Claus. Knowing the Eagles had a home game on Christmas Night, we wrote and produced a short skit to bury the hatchet with Santa once and for all. Three-time Oscar nominee Bradley Cooper lent his voiceover chops to the role of the Snowball and the video went viral over Christmas weekend giving fans an extra present before the Eagles took the field. And then in week 14, just as everyone was starting to talk playoff scenarios, MVP-candidate Carson Wentz went down with a season-ending knee injury. Suddenly, this number-one ranked team was counted out and considered the underdog. Talking heads and odds makers said their season was over, but the team and former starting QB Nick Foles weren’t done yet. We leaned into the situation and crafted a playoff campaign hinging off of the team’s “find a way” mentality using messaging built around their “We all we got, we all we need” chant. Our playoff campaign spread throughout the city with a variety of out of home placements and videos. We released hype videos on Thursdays before each playoff match-up leading up to this weekend’s showdown in Minnesota. Football is all about results. So is advertising. 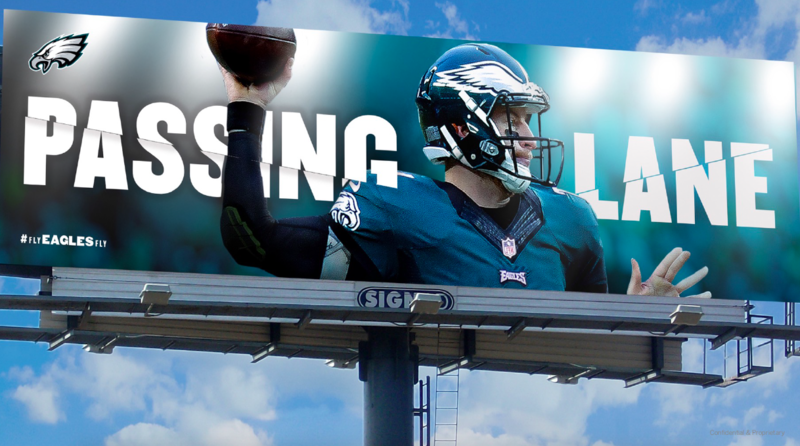 But this season has already gone down as counting for more than the record the Eagles have posted, and hopefully our campaign has been more impactful than our views, likes, and share numbers alone. 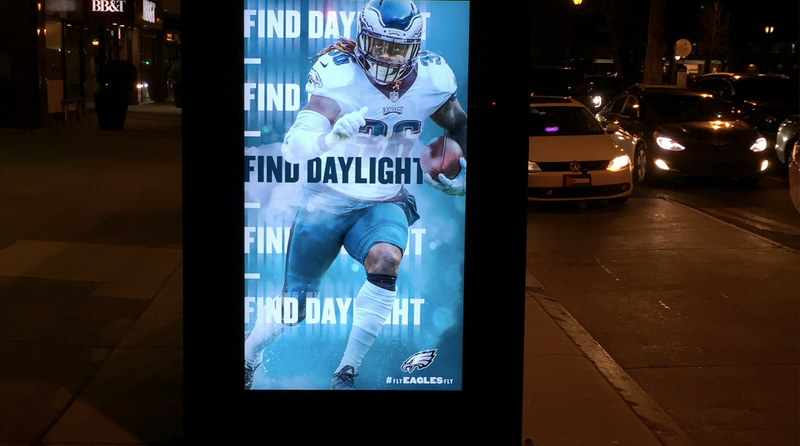 For what it’s worth, this season’s out of home placements ran for six months generating millions of impressions, views of our video content totaled more than 12 million and counting, and overall usage of #FlyEaglesFly, which we started to champion five years ago almost seems uncountable now with how prevalent it appears on social, merch, and handmade signs plastered all over town. Here’s to finding another Sunday. And hopefully meeting up after.